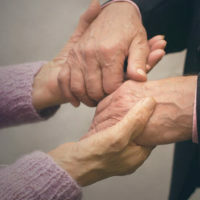 No one has the goal of entering a nursing home when a major health crisis hits, but such events can occur at any time. Prudent planning in advance of this need, i.e., before a person meets the medical qualifications, can make it possible to qualify for Medicaid immediately upon learning that long-term care is necessary, since assets are already properly shifted and situated. However, sometimes medical crises hit unexpectedly or at a younger age than anticipated. The problem in these situations is the average monthly cost for a semi-private room in a Florida nursing home is $7,300, an amount that can easily deplete a person’s life savings if financial assistance is not found. Medicaid is a federal and state program that provides healthcare benefits for blind, disabled and those over 65 years old in need of long-term care in a nursing home (30 days or more), among other medical expenses, but medical and income/asset qualifications must be satisfied before these benefits are available. Those entering a nursing home in an emergency situation may understandably fear that they have no option to start asset protection planning to avoid spending down their assets to qualify for Medicaid. However, while more complicated, financially qualifying for Medicaid benefits in a crisis is still possible without leaving a spouse or other family members with no estate to inherit. A discussion of some methods to implement asset protection strategies when a crisis hits will follow below. To qualify for Medicaid, a recipient must meet both monthly income and asset value restrictions. The monthly income limit is currently $2,205, and the asset limit is $2,000 for countable assets of an individual applicant, with an allowance of $123,600 available to a non-Medicaid recipient spouse in exempt assets so he/she has some resources. Certain assets are exempt, and won’t be factored into the countable assets. For example, a residence, often a person’s most valuable asset, with equity of $840,000 or less is not counted toward a recipient’s asset limits. Part of the key to effective asset protection management in a crisis situation is identifying which assets are countable toward the asset limit, and which are exempt. Other examples of exempt assets include personal property, one vehicle, and prepaid burial plans. Once it is clear which assets will be counted against the asset limit, the question then becomes how to convert countable assets into ones the recipient can keep without a penalty. Executing a Lady Bird Deed. This transaction creates a special form of a life estate in real property that allows the owner to keep control over the property until death. Once death occurs, the property automatically transfers to the new owner without the need for probate, which makes it impossible for the State to place a lien on a home to recover nursing expenses from an estate. Creating a prepaid irrevocable burial plan. Creating Trusts and Annuities. These arrangements are complex, and must be carefully structured so they are irrevocable (the owner loses control of the property) and often require that any retained interest be non-assignable. Medicaid planning is not an avoidance scheme for the wealthy, but a valuable method of retaining assets so your family has something of value to inherit. Attorney William Rambaum understands the complexities of the law in this area, and will work to protect your assets from being devastated by long-term medical care. Contact the Oldsmar law firm to schedule an appointment.